Give your bulletin board displays the perfect finishing touch with watercolor scalloped borders. 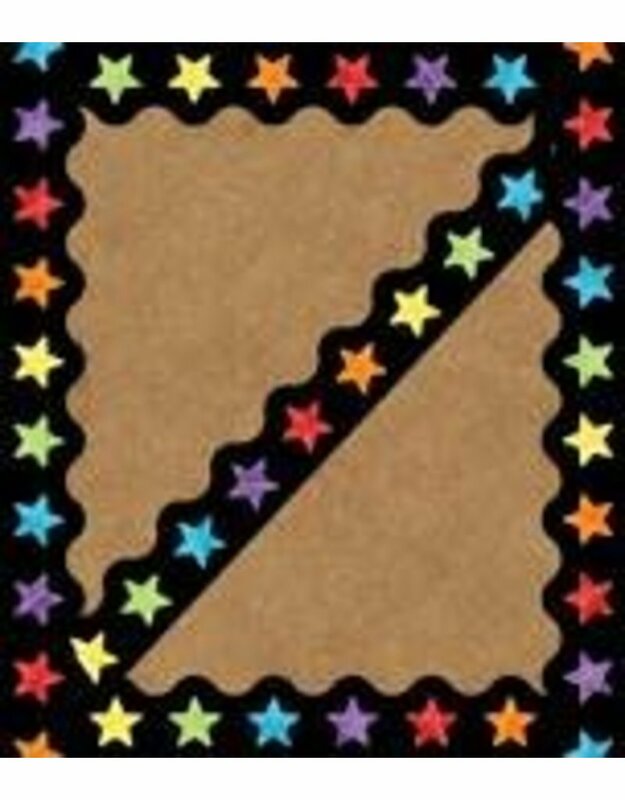 The Celebrate Learning Watercolor Stars scalloped border features bright stars against a black background. The pack includes 13 border strips, each measuring 3' x 2.25" for a total length of 39'. With Carson-Dellosa’s easy-to-customize classroom borders, creating unique displays is fun and easy. Cut and layer borders to add dimension or use individually for a classic style. Be sure to check out other Celebrate Learning products to complement your classroom theme.